Clore Automotive was named NAPA Tools & Equipment 2018 Supplier of the Year. 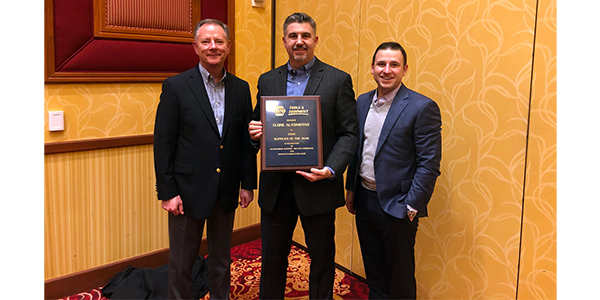 Dave Nicki, NAPA vice president of tools and equipment, presented the award at the 2019 NAPA T&E National Sales Meeting, Mountain/Western Region. Kirk Clore, vice president of sales and marketing, accepted the award on behalf of Clore Automotive. 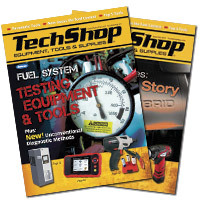 “We are deeply honored to have been named 2018 Supplier of the Year by NAPA Tools & Equipment. We are proud of our team for their hard work and dedication. Our entire team is committed to the success of our customers and delivering real value to them. This award is an indicator that we are doing just that and motivates us to raise the bar even higher going forward,” said Jim Chasm, president and CEO of Clore Automotive.